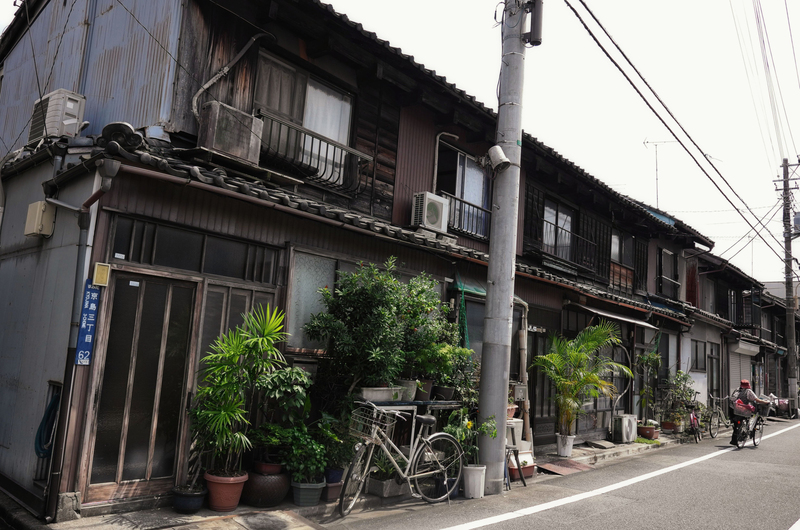 Nagaya have been disappearing from downtown Tokyo for many decades, with row upon row of these “long houses” torn down to make way for more comfortable — and profitable — residential complexes and office blocks. 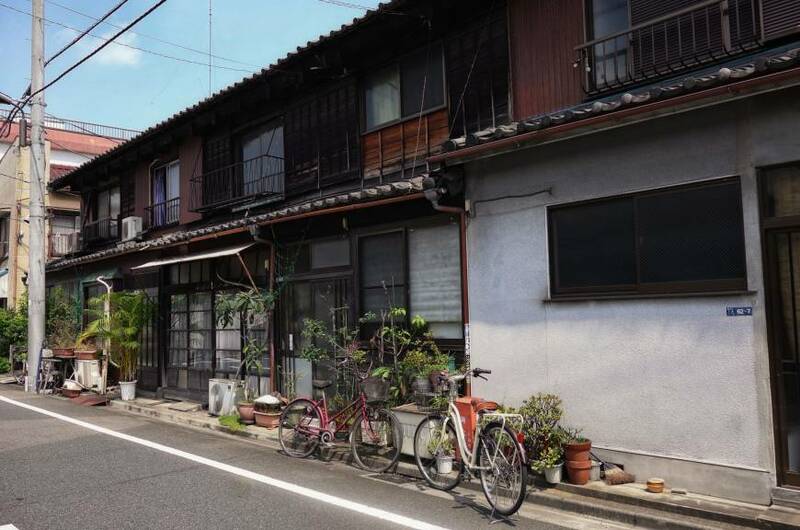 However, it’s still possible to find examples of nagaya from the postwar era scattered around areas such as Sumida, Taito and Bunkyo wards today, and a new generation of creators are taking steps to customize them for their own purposes and give them a new lease on life. Nagaya first appeared in Tokyo during the Edo Period (1603-1868) as a type of living quarters for the common class, with residents living side by side in the long wooden buildings. The residents of such complexes shared a communal well, toilet, waste disposal area and shrine. Indeed, residents within the same building lived in close proximity to each other, creating a sense of community at a time of high-density population growth in the capital. 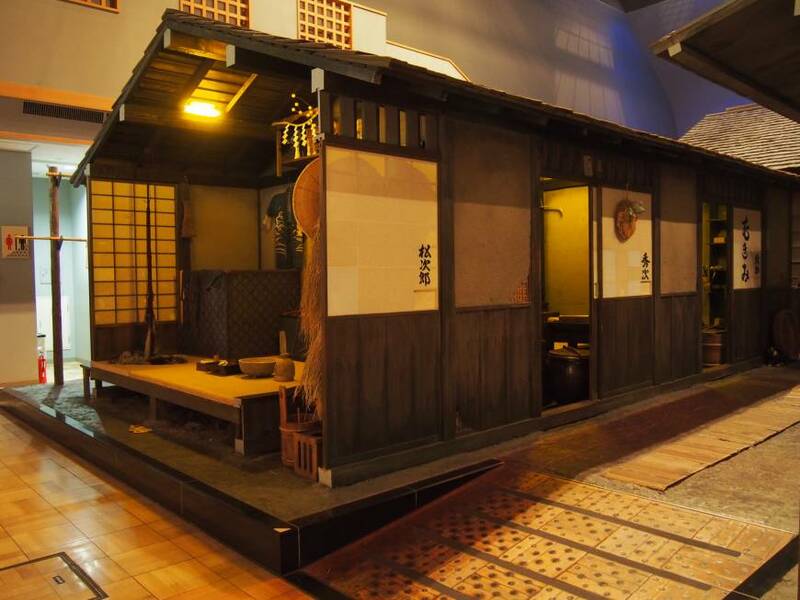 The single-story design remained largely unchanged until around the Taisho Era (1912-26), when a second story was added and the kitchen area, which had typically faced the alley, was moved to the back of the premises as gas and water infrastructure improved. Moreover, toilets were built into individual units. Yoko Kobari, a historian at the Fukagawa Edo Museum, says that an Edo-era map of the Fukagawa-Saga district shows that there were 312 houses in the area. The first nationwide housing census wasn’t held until 1941, so it’s necessary to refer to maps such as this in order to get an insight into dwellings in the city. “Of these, 249 — or around 80 percent — were rented spaces,” Kobari says. “But we can’t say for sure that all these buildings were nagaya, as some of them could have been shops or storage facilities. Using Edo-era woodblock prints and illustrations found in novels as reference materials, replicas on display in the museum show the types of people living in the shitamachi (downtown) area at that time. On display are dwellings for single men (a shellfish seller and a woodworker), a family, and a single woman (an educator of calligraphy and the arts). They were typically around 9 shaku (2.7 meters) wide by 2 ken (3.6 meters) deep and included a section for sleeping and eating, as well as an entranceway that often doubled as a cooking space. In a book titled “Tokyo: A Spatial Anthropology,” Jinnai says that these shrines created a space for sunlight and ventilation, preventing what could quickly turn into unhygienic conditions in the alleyways. Efficiency was key to life in these communities. One feature of note in the museum displays is the abundance of wooden buckets and wells that sit in front of each house and on street corners. Fires were obviously a constant threat. Nagaya weren’t built to last, and their ephemeral materials left them exposed to catastrophic incidents. Indeed, it’s somewhat surprising that any of the buildings survived the Great Kanto Earthquake of 1923 or the firebombing raids at the end of World War II. One of the few nagaya from the late Edo Period to early Meiji Era (1868-1912) that remains is a mid 19th-century three-row tenement house that was built in Horie, Urayasu. 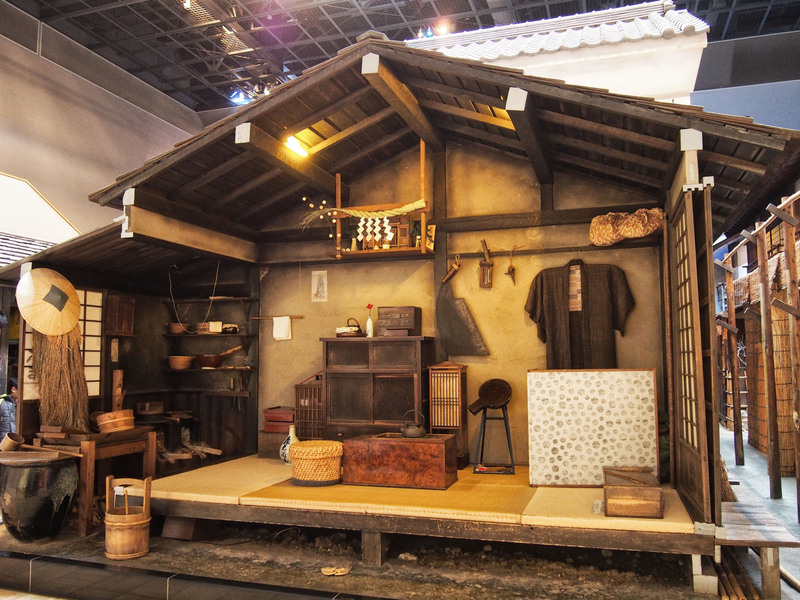 It has since been dismantled and reconstructed at the Urayasu City Folk Museum. The majority of nagaya that remain scattered throughout downtown Tokyo these days are postwar constructions. 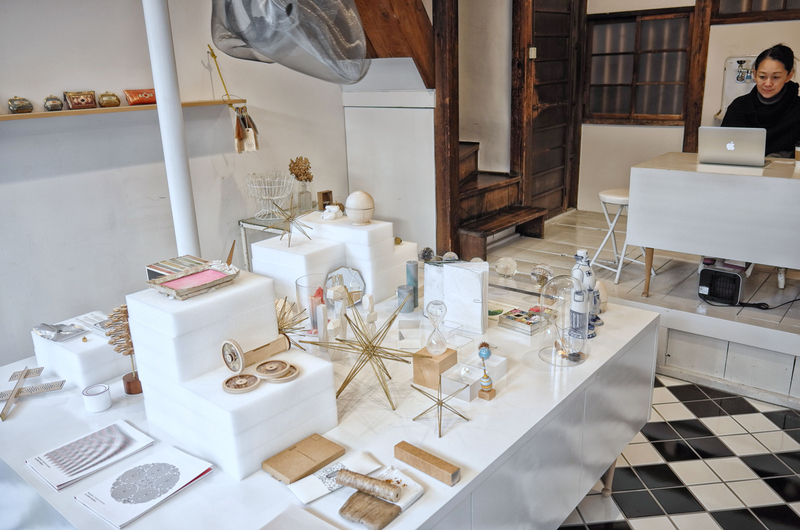 Despite their typically decrepit state, a number of young creators have rediscovered their charm, refashioning them into studios, cafes and event spaces. 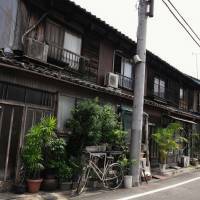 The Sumida Ward neighborhood of Kyojima in particular has seen an influx of this new generation of renovators, who were initially lured to the area by the affordable rent. You can find numerous examples of nagaya conversions while walking around Kyojima: architectural studio Cuatro, shared office space Shokubaya, knitwear atelier Seesaw, guesthouse Sumida Nagaya, mask shop Kamenya Omote and Muumuu Coffee, a hip cafe and hub for kendama enthusiasts. Aside from nagaya makeovers, other projects in the area to revive historic, working-class housing include indie cassette tape gallery Newld and studios Detroit Corn Club and Sheepstudio, among others. Ayumu Haitani is the owner of Muumuu Coffee and Halahelu, a cafe made from a converted 1965 kominka (old-style house) that had been in a dilapidated state. Both Muumuu Coffee and Halahelu attract a wide variety of patrons, from manga artists and designers to architecture students and magic enthusiasts. Haitani says the paper-thin walls don’t disguise much. Nagaya also lack insulation in the frigid winters. “Muumuu is really cold,” Haitani says. “If you just use (the heater in) an air conditioner, the heat doesn’t reach your feet. 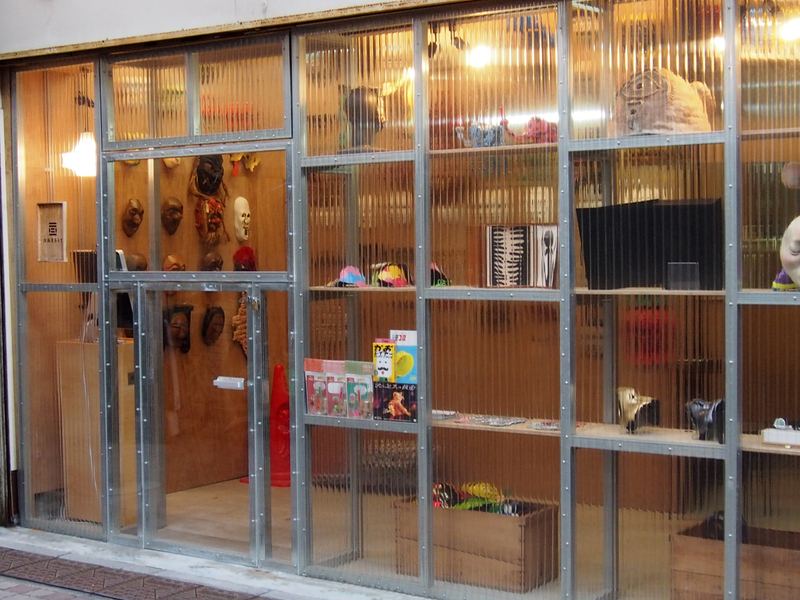 A lot of places in the neighborhood have an unfloored entranceway, and the artists and artisans use it as a workspace. It really is freezing if you don’t put a stove in. “However, I don’t really feel these factors are that inconvenient, which is why I stay,” he says. Hiroshi Sasaki is a web designer who worked for four years out of Shokubaya, a nagaya that has been turned into a shared office space in Sumida Ward’s Yahiro neighborhood. Sasaki says nagaya allow creators to experiment with their environments. “Nagaya offer freedom,” Sasaki says. “With regular rental apartments, you can’t do anything. You can’t even make a new shelf — it’s suffocating. It was really cookie-cutter up until now but, generationally, there are people who find this insufferable, and they want to do as they please. That is natural and it reflects on where they live. Indeed, Haitani has uploaded “before” and “after” images of Halahelu on Instagram in an attempt to motivate others in his neighborhood. Housing makeovers in the area often involve a complete overhaul, which includes raising the floor, fixing uneven roofs, installing bathrooms and adding interior walls. Projects can take more than a year to complete, significantly raising the value of the property. “While it is really hard, you can create your own space if you persevere,” Haitani says, admitting that he convinced his landlord that renovations were required without even knowing how to draw a blueprint. One of the best ways to experience life in a nagaya is to stay in one. Shokubaya’s neighbor, Sumida Nagaya, offers exactly that. 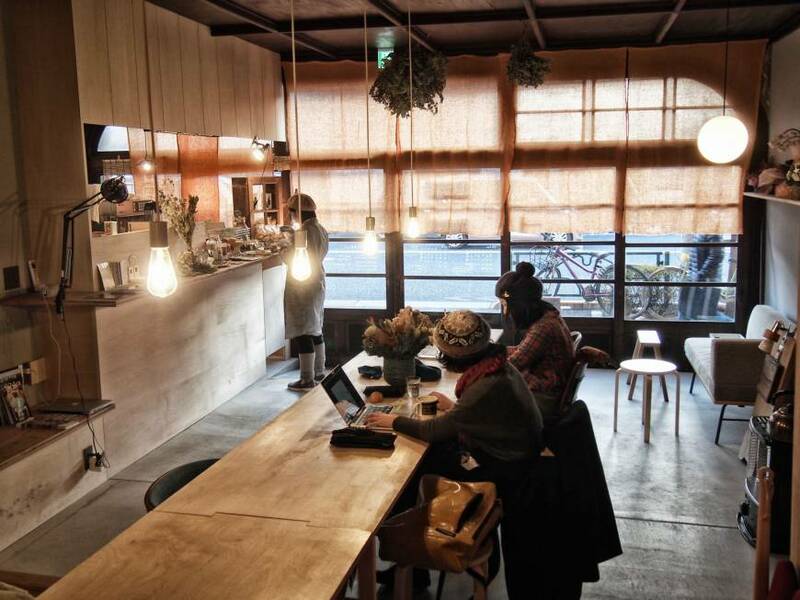 Sumida Nagaya is a small and chic hostel that can only accommodate eight people at a time. Local architectural firm Na+ Kenji Nagakubo Kenji Design Office created a spacious cafe in the downstairs space. Upstairs, the designers created a dormitory layout that reflects the maze-like alleyways of the neighborhood. Iwamoto admits that the age of the nagaya — it was built in the 1960s — doesn’t generate the sentimental value required for the building to be seen as worthy of preservation. Moreover, Japan’s growth period was characterized by a seemingly gratuitous pursuit of large-scale development. 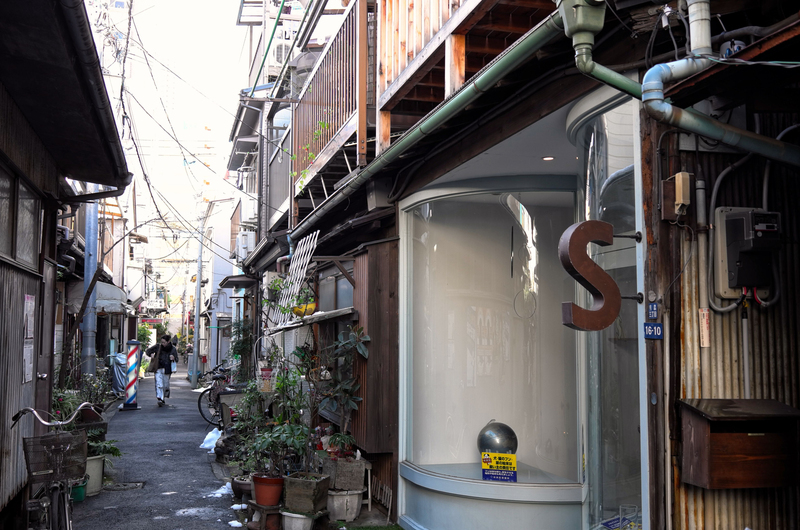 A particularly good example of a revamped nagaya is S, a Tsukishima shop that is only open on Saturdays, owing to owner Namiko Sekine’s principal job as a salaryman. S sells whimsical items, including a one-sided dice, glass domes with seasonal flowers and a Russian porcelain vodka bottle in the shape of a doctor. 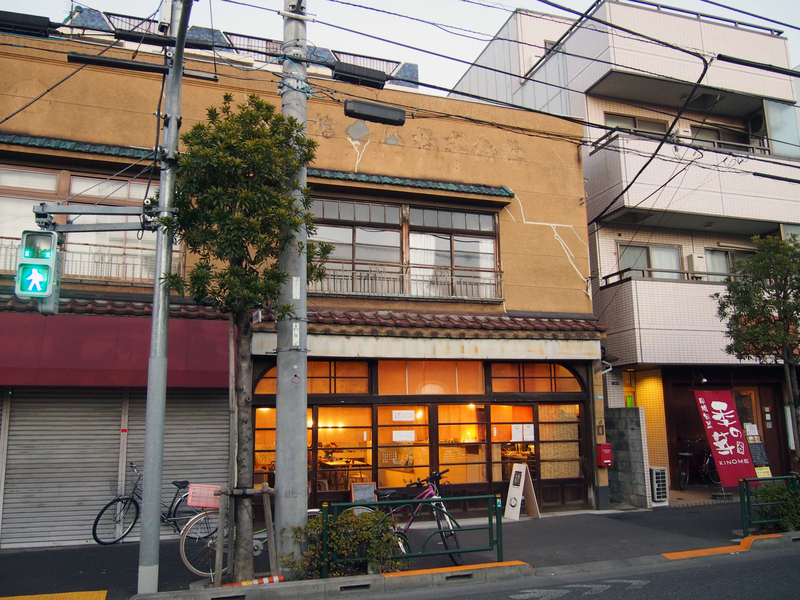 The nagaya is owned by Sekine’s mother, which she purchased after she retired as a space in which to host flea markets and tea gatherings. Unlike most revitalized nagaya, which more or less retain the original aesthetic of the exterior, S features a groovy curved-glass facade, a facelift that Sekine concocted with architectural firm Nikko Design. 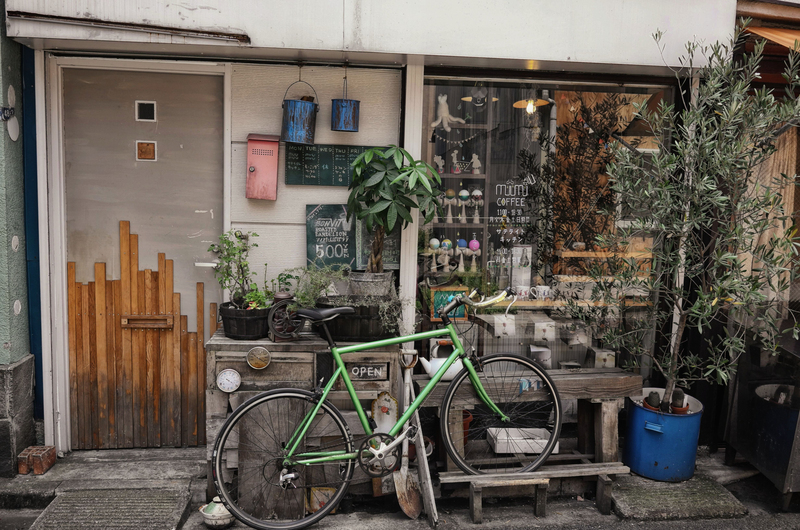 Sekine finds that her nagaya offers her an escape from the hustle and bustle of the city. In the Edo Period, nagaya communities were largely autonomous and the Tokugawa shogunate made residents responsible for their own security, waste disposal, maintenance and administrative matters. This created a sort of community consciousness and the lack of privacy created an inherent awareness of a neighbor’s well-being. This citizen-oriented dynamic continues to exist in Kyojima today, and Haitani says the construction of Halahelu was only possible with the assistance of others in the area. Many nagaya don’t have baths, so tenants need to use the local sentō (public bathhouses), which is a form of community in and of itself. In the Edo Period, small shops lined streets selling goods and local produce. Nagaya lined the alleyways. Lacking private yards, these alleyways also became a space for leisure and interaction. 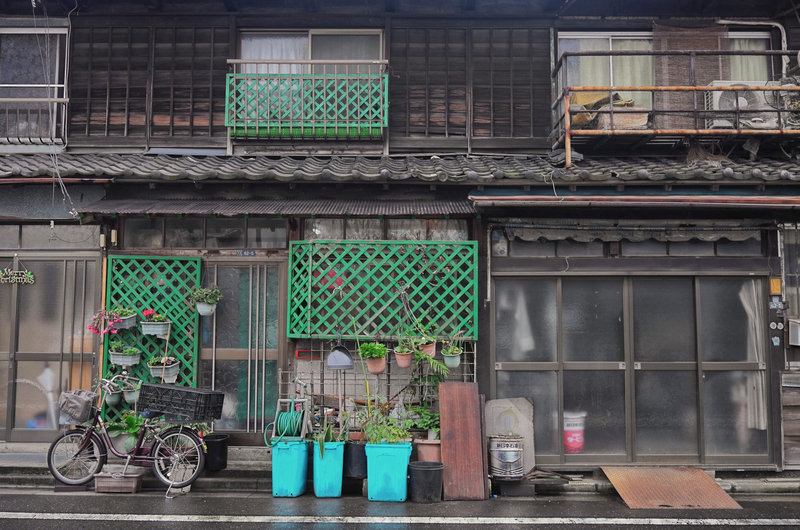 Nowadays, nagaya residents continue to beautify theses spaces by creating gardens of precariously stacked potted plants outside their homes. Pavements are covered in chalk drawings during events for kids and the paucity of cars enables the alleyways to become virtual playgrounds in their own right. In a metropolis where it can be hard to get to know a neighbor, one of the greatest charms of these downtown districts in Tokyo is the ease in which one can meet people of all generations. Sasaki was also attracted to the area by its ties to traditional craftsmen, including one relative who used to produce gunbai (a fan used by sumo umpires).